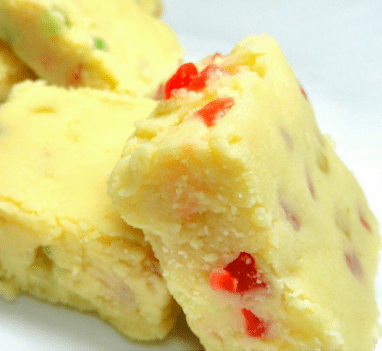 How to Make Milk Burfi Recipe? Heat the milk slightly and add lemon juice by pressing lemon. Then put it in a cloth to drain for 3 hours. Milk solids turns into paneer now. Kneed this well with milk powder and sugar. Heat ghee and add cheese mixture in a heavy pan. Fry on very low heat till ghee is separated. Remove from heat and add it to cardamom powder. Pat in a flat cake and cool completely. How to Make French Fries Recipe?